2 Years ago I lived in Valencia, Spain. 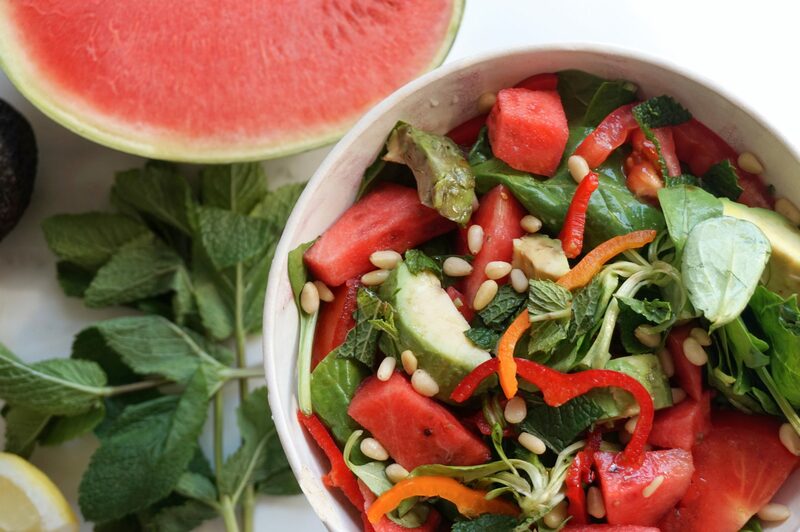 It was during this time that I learned the difference a watermelon can bring to a salad on a hot Spanish summers day! 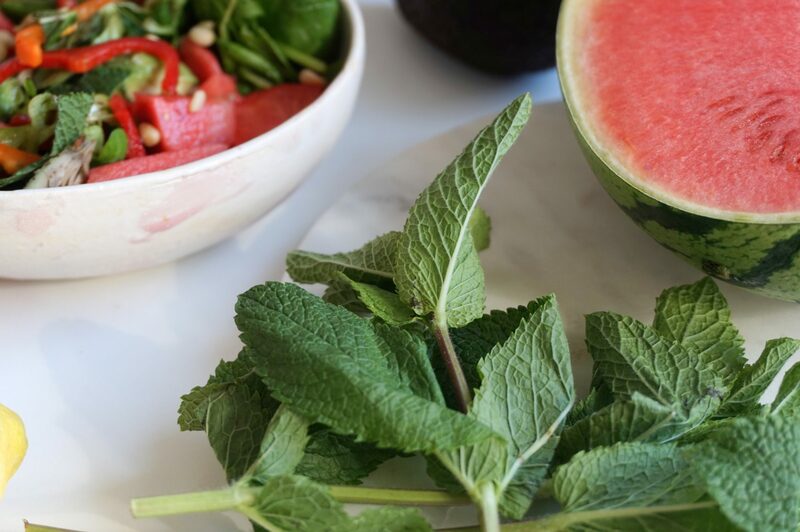 There is something very special about the sweet watermelon with a touch of sea-salt, olive oil, lemon & balsamic vinegar. 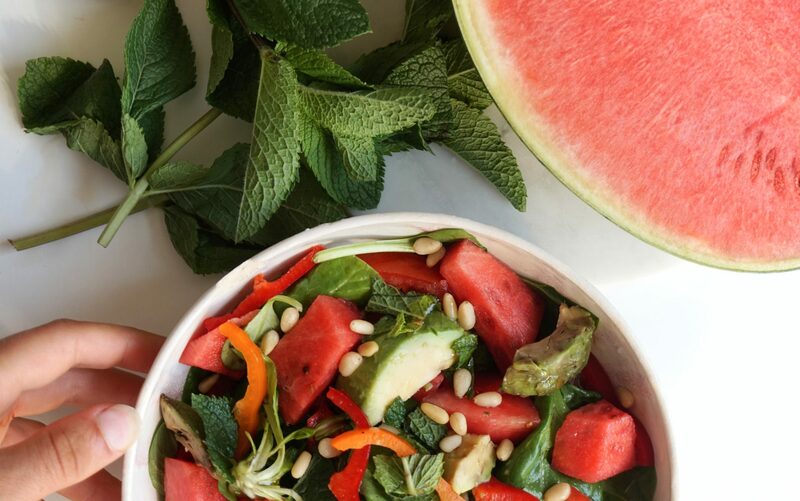 During my Spanish summers of 2016 & 2017 a watermelon salad became my daily lunch ritual. Honestly I spent my whole time living off my homemade Spanish “ensalada con sandia”. I may not be living the Spanish dream anymore but this hot weather has brought back all of my cravings. 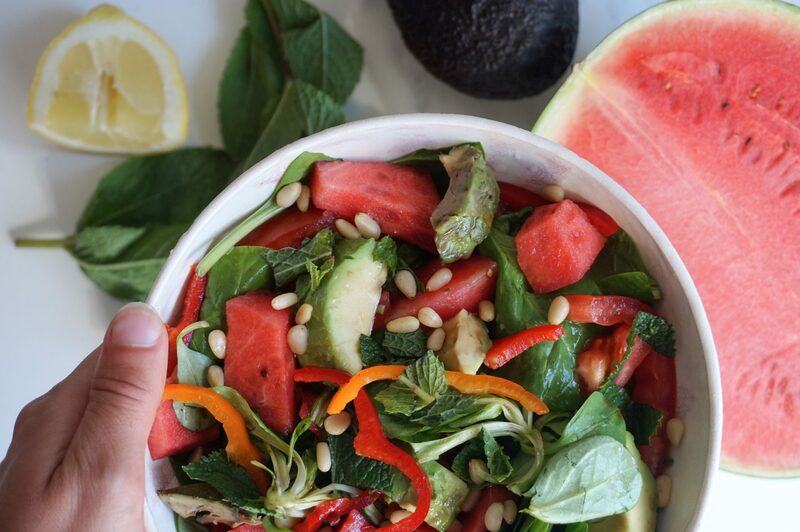 I love to share my creations so here’s one especially for those summery days..
Chop the watermelon, cucumber, & avocado into small chunks. Dice the sweet peppers, tomato, & mint leaves. As your base, place the spinach leaves into a large salad bowl. Place all the ingredients on top including the pine nuts & mix with a large spoon. Combine all the dressing ingredients together in a small bowl & pour onto your salad mixing well. (I recommend using your hands to massage the salad with the dressing). Feel free to tag me on Instagram @activewithella if you recreate my little bowl of heaven. I would love to see your versions!